Night sky over Very Large Telescope. 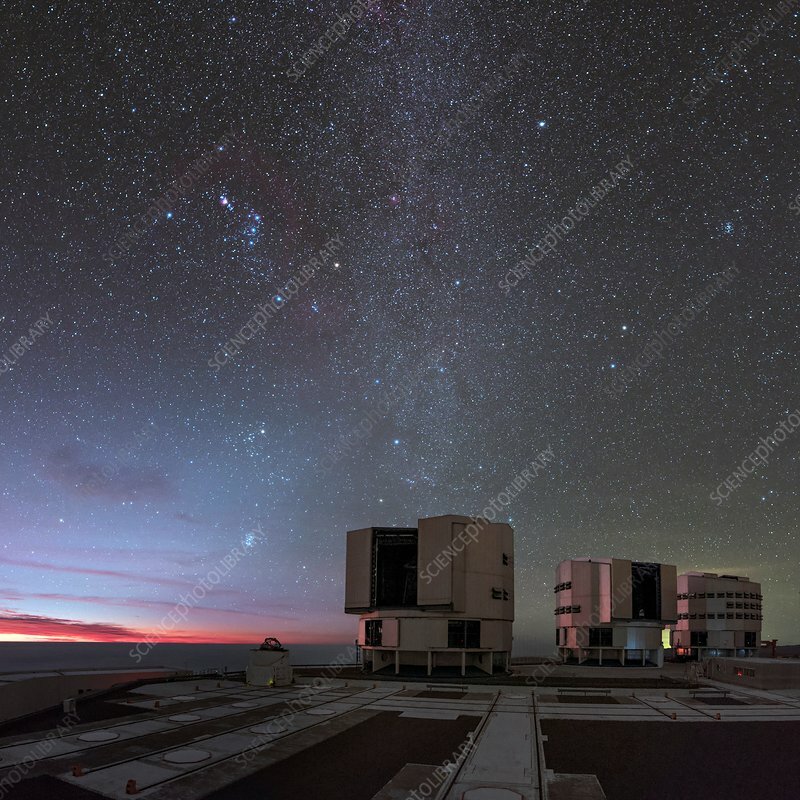 Stars in the night sky over the four Unit Telescopes of the Very Large Telescope (VLT) at the Paranal Observatory in the Atacama Desert, Chile. The Paranal Observatory is operated by the European Southern Observatory (ESO). It is situated at an altitude of 2,635 m, on Cerro Paranal. The VLT comprises four 8.2-metre mirror telescopes (Antu, Kueyen, Melipal and Yepun) that provide images which are combined by interferometry. This gives an image equivalent to that obtained by a 16-metre diameter mirror, making the VLT one of the most powerful telescopes in the world.